FLY Leasing Ltd has grounded three planes on lease to India's Jet Airways Ltd and will take them back and redeploy them elsewhere if the airline cannot gain approvals for a restructuring plan this month, the lessor's CEO said. 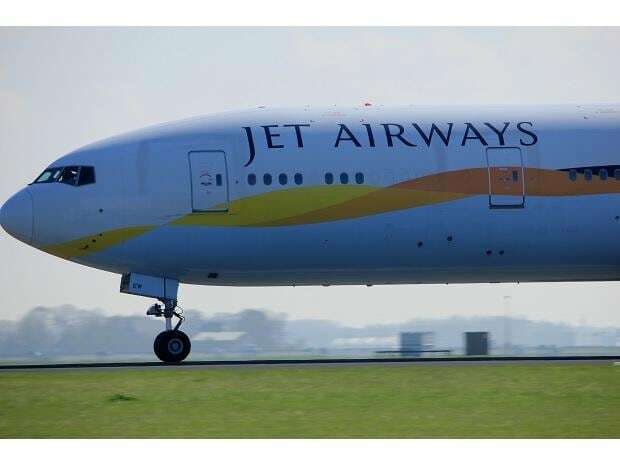 Jet Airways on Thursday said another three aircraft had been grounded due to its failure to make payments, taking the total number to 28, but it has not specified the lessors involved. The grounding of nearly one-quarter of the airline's fleet has led to the cancellation of hundreds of flights and complaints from customers on social media. Several major global aircraft leasing companies, including AerCap Holdings NV and BOC Aviation, have exposure to the financially troubled airline, which has defaulted on loans and has not paid pilots, leasing firms and suppliers for months. "We have grounded our aircraft, we have control over our aircraft, but we have not terminated the leases and we are waiting for the airline to approve all its restructuring with the State Bank of India," FLY Leasing CEO Colm Barrington told analysts on a results call on Thursday. "If that goes through at the end of the month, obviously, we will stay with Jet. If they can't get that done, then we'll take our aircraft back and redeploy." The airline had three relatively young Boeing Co 737-800s on lease to Jet Airways, which accounted for around 3 per cent of FLY Leasing's revenue, he said. Jet Airways has outlined a draft to sell a majority stake to a consortium led by the State Bank of India at 1 rupee, under regulations that permit banks to convert debt to equity in a defaulting firm.